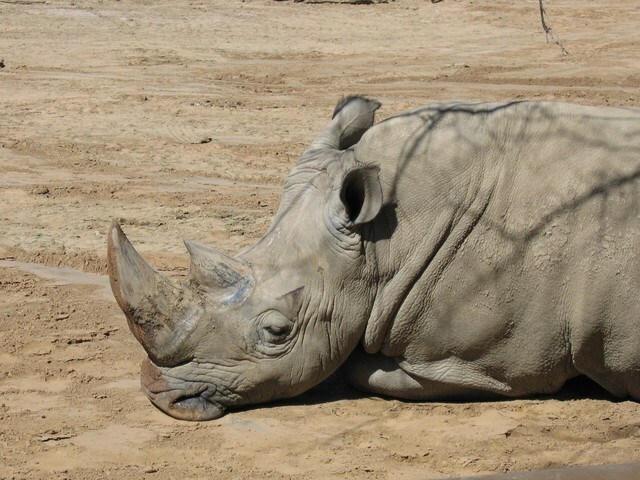 My pet rhino, Beryl, was spending the bulk of her waking time watching TV on the couch. This was getting me pissed because it was wrecking the couch. So I got a DVD of rhinos in their natural wild habitat and played it on the TV. Beryl got all excited and ran around the room ramming all the furniture and dent splintering the walls. The only thing she didn’t wreck was the TV. When the DVD was over she lay down on the rubble and remote switched the TV to Judge Judy.